I have to confess. I have never made mooncakes before this. 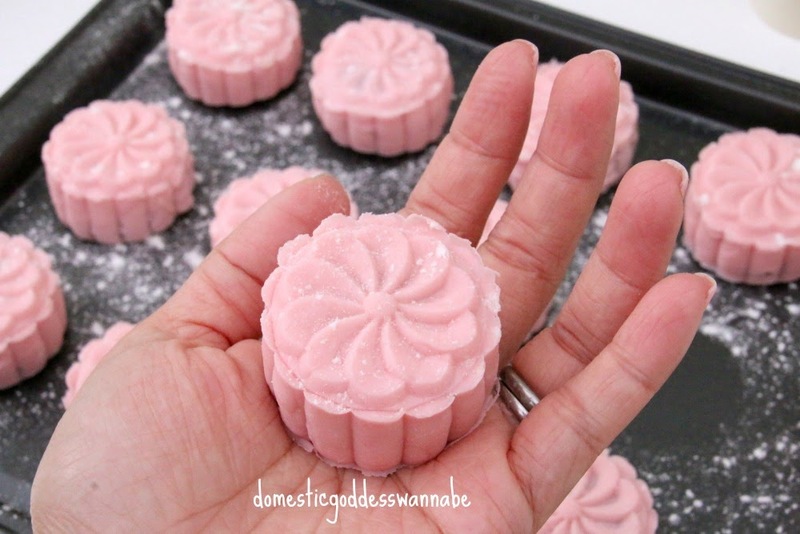 But I have seen so many people make these snowskin mooncakes and they are so pretty! I am happy to report, however, that I did succeed in making really pretty mooncakes and that in fact, they are really easy to make! I was over the moon! No more paying crazy sums of money for mooncakes and l can make loads to give away to friends and family! 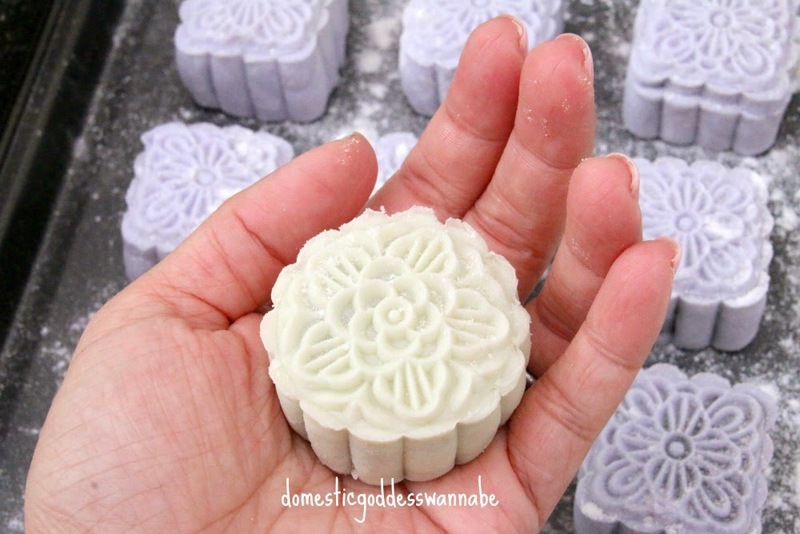 If you are interested in making mooncakes, I will show you how. To start, I boiled 2 litres of water with a bunch of pandan leaves. I made more because this can be kept in the fridge for a few days which meant that I didn't have to repeat this step (or wait) when I want to make more mooncakes. I measured the kao fen (cooked glutinous rice flour) and snowskin flour into a large bowl. 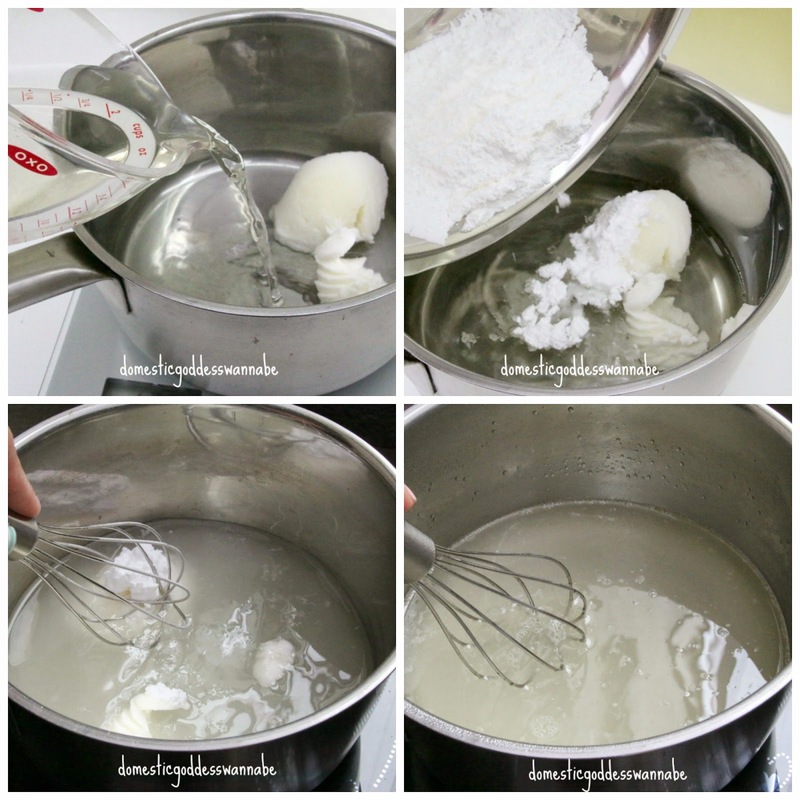 Using a whisk, I mixed them. I placed the (pandan) water, vegetable shortening and icing sugar into a saucepan and brought it to a boil, whisking all the while until the shortening had melted. This was taken off the heat, and poured into the flour. Using a spatula, I stirred until the flour and liquid had come together. This was left to cool. In the meantime, I measured the filling and rolled each portion into a ball. I used ready-made filling - there is nothing I hate more than endless stirring. Once the dough was cool enough to work with, I kneaded it until it was smooth then I divided it into 3 portions. Into each portion I added food colouring (go easy on the colour!) and kneaded until the colour was uniform. This is how I like to knead the dough. I pushed the dough away from me. Then I folded the dough 1/3 of the way towards me, and made another 1/3 fold. Then I turn it 90 degrees and repeated until I got a uniformly coloured dough. I divided the dough into the required portions and shaped each into a ball. I flattened each ball and rolled it into a round disc. The filling was placed in the middle of the dough and the edges were pinched to seal. I placed this into the mould and pushed then viola! out popped a mooncake! To be honest, I really wanted to get some wooden moulds. When it comes to traditional foods like mooncakes, I much prefer the old way of making them. 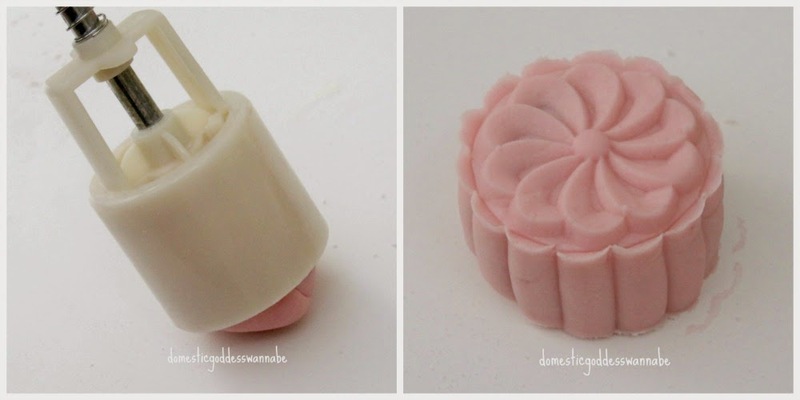 However, since it was the first time I was making mooncakes, I felt that the plastic plunger moulds would work better because they are much easier to use. When I went to the shop to buy supplies to make mooncakes, I told the (very nice) aunty at the shop that I wanted to buy only a few essentials. In the event that I was unable to make mooncakes of an acceptable standard, then perhaps I would lose interest and not try again. She laughed and told me she was sure that I would be back at the shop to buy more supplies. 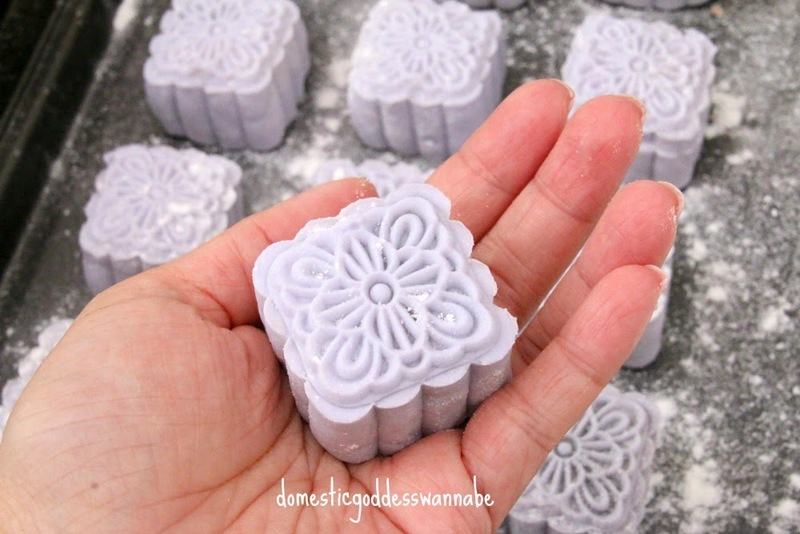 I loved the entire mooncake making process and I love the end products - so yes! I shall be making a lot more mooncakes in the days to come! To celebrate winning The Best Cooking Blog at in this year's Singapore Blog Awards, I am giving away a set of Philips Jaime Oliver Stick Blender. 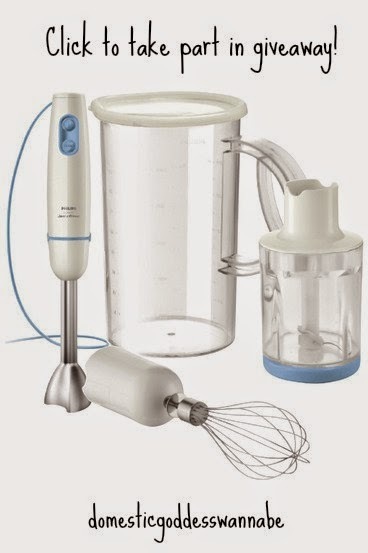 Set includes hand blender, chopper and whisk. "The new Philips Jamie Oliver hand blender features a strong 650W motor with a simple "on / off" button as well as a turbo button, ensuring that busy families can enjoy fresh, healthy food every night of the week. The compact chopper stands sturdy on any kitchen counter and is useful when chopping smaller quantities of onions, herbs or cheese. Homemade pesto and salsas are also really simple to make and add a completely fresh touch to your meals. It also includes a whisk that attaches easily to your hand blender top. It is useful when preparing fluffy whipped cream and homemade mayonnaise. The innovative ProMix technology represents the ultimate in speed and efficacy, to deliver only the finest and evenly cut results. The 1.0L beaker with lid keeps smoothies and batters fresh and is really useful when preparing homemade sauces, pancake batters or smoothies with your hand blender. If you don't finish the batch in one go, pop on the lid and keep it in the fridge for later. It couldn't be easier!" To take part in the giveaway, simply click on the icon below! Note: I doubled the portions to make 58 mooncakes. 1. Combine kao fen and snowskin flour in a big bowl and set aside. 2. In a pot, add the icing sugar and shortening to the water and stirring with a hand whisk, bring this to a boil until the shortening had melted. 3. Pour this mixture into the bowl containing flour and use a spatula to stir the mixture until a soft dough forms. Set this aside to cool. Form the filling into balls of 25g each. Set this aside. 4. Once the dough is cool, knead the dough until it becomes smooth. Add more kao fen if the dough is still too sticky. 5. Add food colouring if you are using. You may want to divide the dough into portions if you are using different colours. Place the colour in the middle of the dough and knead until the colour is uniform. 6. Divide the dough (21g each). 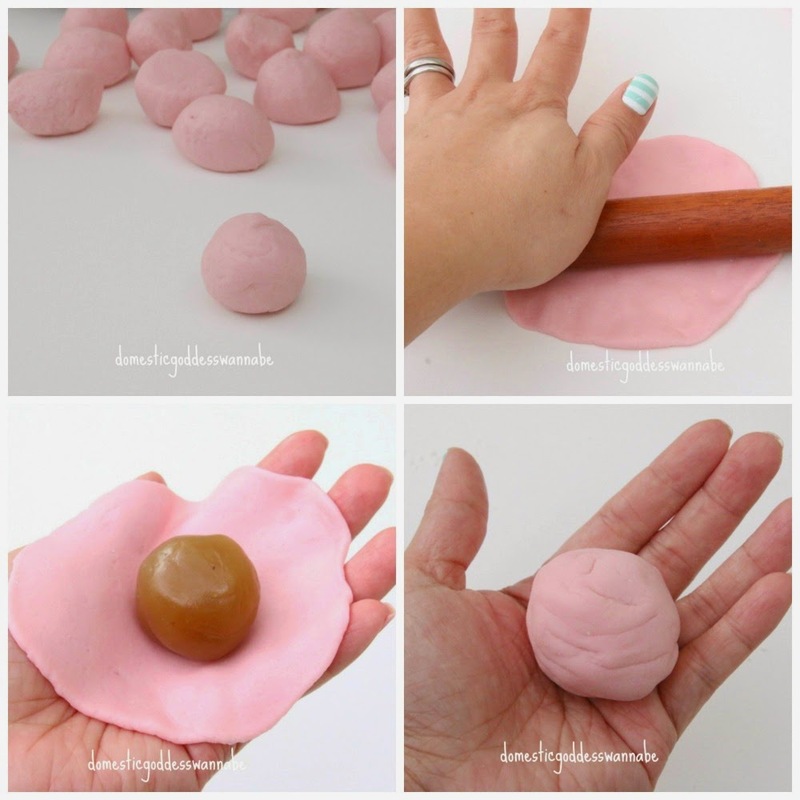 Flatten each portion and roll into a round disc. Place one portion of filling in the middle of each piece of dough. Pinch edges to seal. 7. Dust the ball with a little kao fen and press it firmly into the mould. 8. Chill the mooncakes before consuming. Do you like cupcakes? 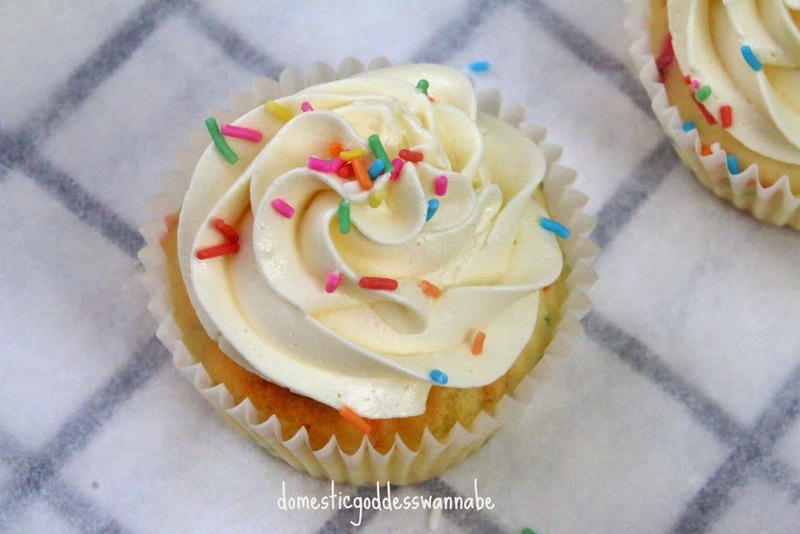 What is it about cupcakes that bring so much joy to people? Over the weekend, one of my friend's daughter, Mae Lynn, came over to learn to bake cupcakes. It was her brother's birthday and she really wanted to make some cupcakes for him. How sweet is that right? The best part of all is that she is only 8! Since I was baking on Sunday anyway, and I have 2 mixers, I invited her to come over to bake with me. Kids love sprinkles. I think if I were to add sprinkles to vegetables, I would probably be able to get Aden to eat them (fat hope, Mommy!) haha. So since these cupcakes were meant for a little boy's birthday party, we made Funfetti Cupcakes. 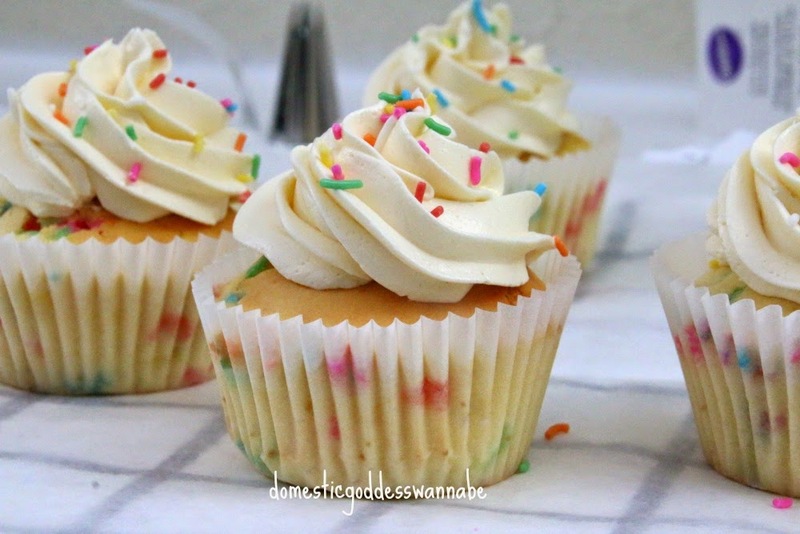 Which are basically cupcakes with sprinkles. I used my favourite yellow cake recipe to make the cupcakes. I love this recipe because the cake always turns out so tender! So, in the bowl of a mixer, I creamed together butter and sugar until the mixture became light and fluffy. Into this, I added the eggs, one at a time, and beat well after each addition. I sifted the flour, baking powder and salt and set this aside. Into a measuring jug, I added the vanilla extract to the milk. This was also set aside. When the eggs had been incorporated into the batter, I added the flour and milk mixtures in the sequence flour-milk-flour-milk-flour. Finally, the sprinkles were added, and mixed. I placed the batter into cupcake liners. Once baked they were cooled in the pan for 10 minutes before I transferred them onto a cooling rack to cool completely. The cupcakes were frosted with my favourite buttercream but you can use any buttercream that you prefer. And I sprinkled more sprinkles on top. This is a great cupcake for a kid's party! 1. Position rack in the lower third of the oven and preheat to 350°F (175°C). 2. 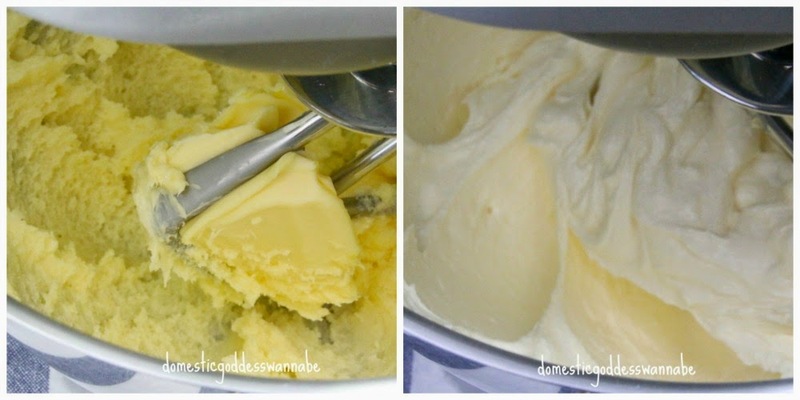 Cut the butter into 1-inch pieces and put them in the large bowl of an electric mixer fitted with beaters or the paddle attachment. Soften on low speed. Increase the speed to medium-high and cream until smooth and light in color, about 1 1/2 to 2 minutes. 3. Add the sugar, 1 tablespoon at a time, taking about 8 to 10 minutes to blend it in well. Scrape the sides of the bowl occasionally. 4. While the butter and sugar are beating, Sift together the flour, baking powder and salt. Set aside. 5. Add the eggs to the butter/sugar mixture, one at a time, beating for one minute after each addition. Scrape the sides of the bowl as necessary. Blend in the vanilla. 6. Reduce mixer speed to medium-low. Add the dry ingredients in four batches, alternately with the milk, starting and ending with the flour. Mix just until incorporated after each addition. 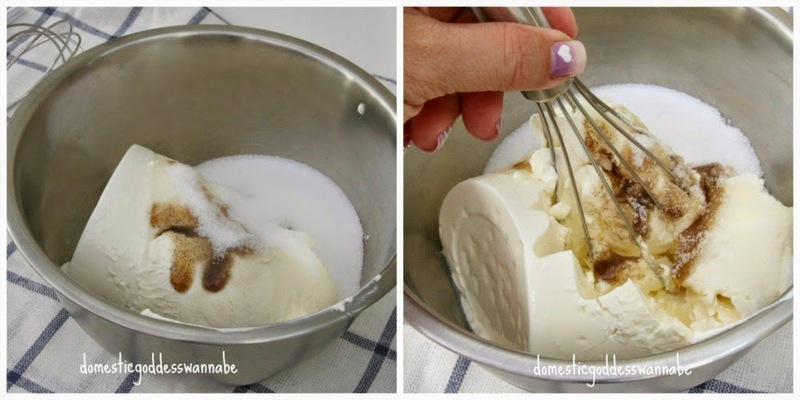 Scrape the sides of the bowl and mix for 10 seconds longer. 7. Spoon the batter into cupcake liners. Center the pan on the rack and bake for 18 to 20 minutes (I baked mine for 18 minutes), or until the cupcakes are golden brown on top. A toothpick inserted into the center should come out dry. 8. Remove the cupcakes from the oven and set the pan on a wire rack to cool to room temperature. 9. 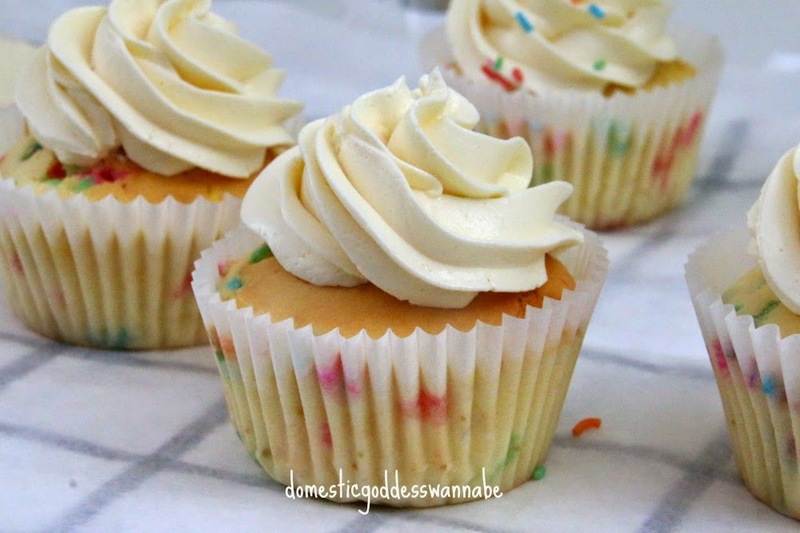 Frost with buttercream and sprinkle more sprinkles on top. This post is linked to the event, Little Thumbs Up organised by Bake for Happy Kids and My Little Favourite DIY, and hosted by Diana from the Domestic Goddess Wannabe. Kit from I-Lost in Austen will be the next hostess of September 2014 and her theme is APPLE! 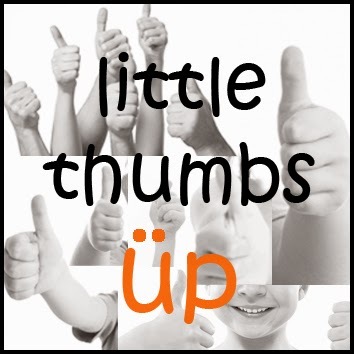 Her Little Thumbs Up event starts on the first Tuesday of August 2014 (2nd September) until the last day of the month. Today my friend Adeline from ABSOLUTE - The Accidental Mom Blogger is guest posting on my blog. I've always been an experimental home cook, trying to replicate flavours that my family enjoy when we like a dish while dining out. One thing for sure, I would usually attempt to cook it at home if I feel it is simple enough for me to achieve. 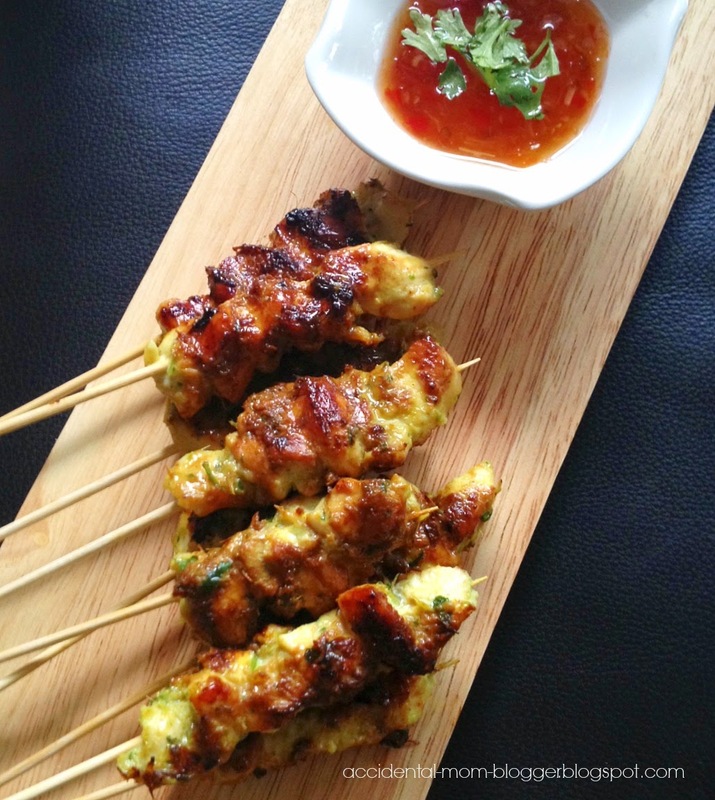 So here I am, sharing with you an easy Thai satay recipe that would have almost everyone (that is if they can appreciate the lemongrass flavour) wanting for more. This dish makes for a great party food! Satay had been on my mind of late and so I decided to try making them at home and chanced upon this recipe from Thaifood.about.com. The ingredients were very easy to get - especially since you can get them from NTUC, which sells most of the spices in a pre-packed bag meant for tom yum soup. - Soak the satay sticks in water before preparing the meat, so that it doesn't get burnt in the course of grilling. - slice chicken into thin strips (for quick cooking) and set aside in a bowl. 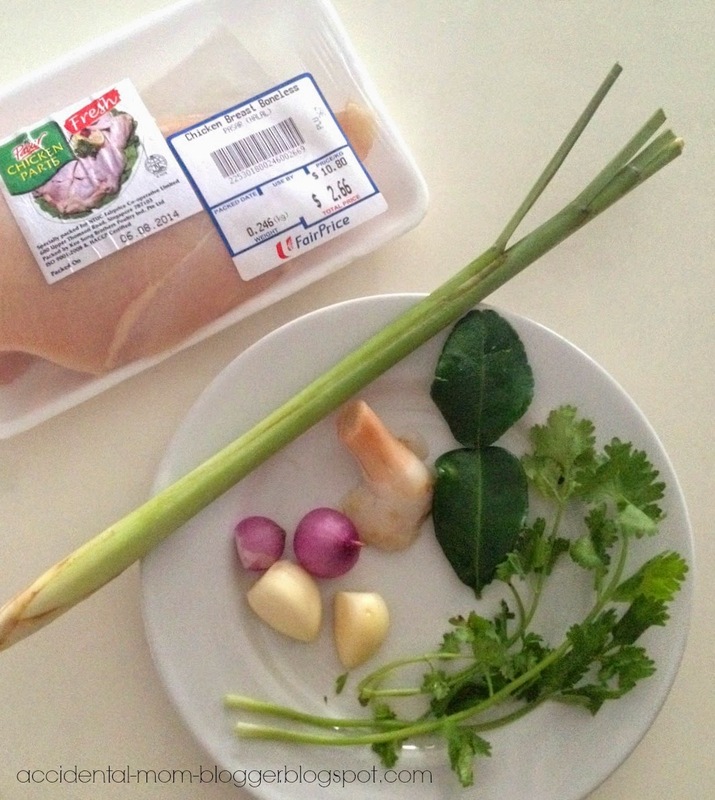 - grind lemon grass, young ginger, onions, garlic, kaffir leaves and coriander together. It can either be completely minced or as I have preferred to keep mine roughly grounded so that I can bite into bits of flavour of the lemongrass and kaffir leaves. 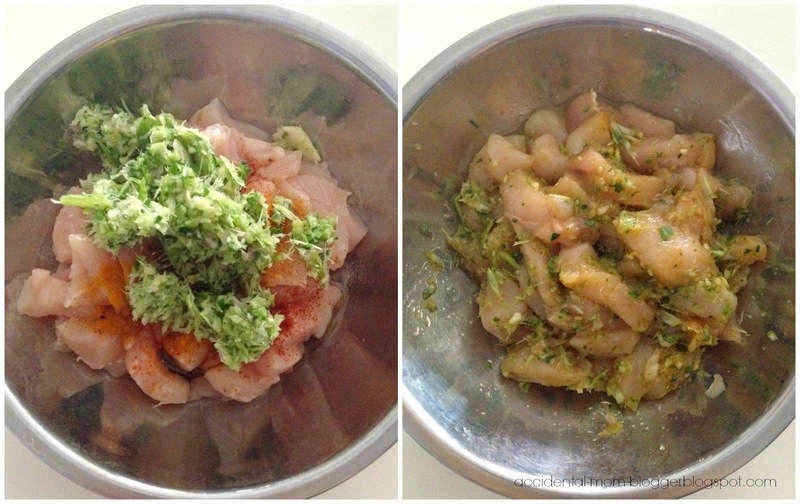 - add the above grounded marinade, together with tumeric, honey and fish sauce into the chicken and mix well. - Let it sit in the fridge for at least an hour, or more if you are preparing way beforehand. 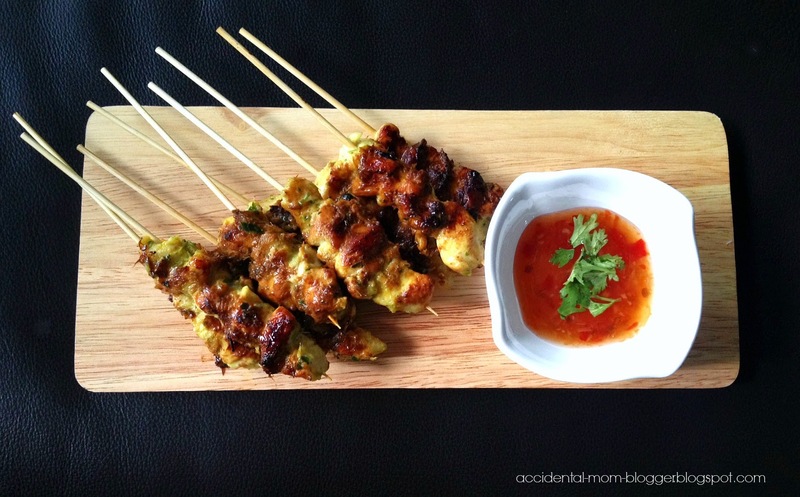 - When you are ready to cook, skewer the chicken meat with the satay stick. I've used about 4 slices on a stick. - Heat up your grill pan with a tbsp of oil. Use medium fire. 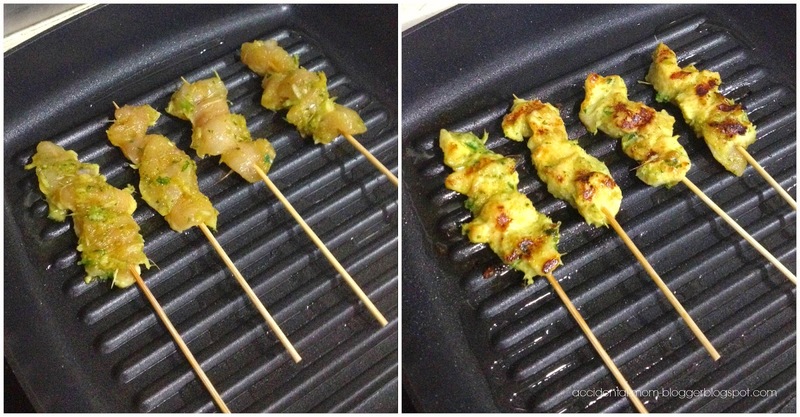 - Place the satay sticks onto the pan and grill on each side till the meat turns opaque. Approximately 10 minutes to cook. I've used Thai sweet chilli sauce as a dip for the satay. The blend of spices were perfect to our liking and were absolutely addictive! Needless to say, we all didn't get enough of it. I'll definitely be making more the next round. 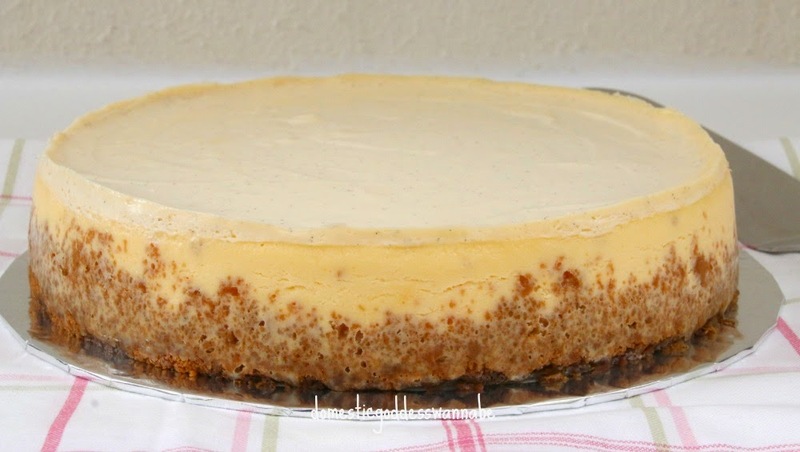 I have searched long and hard for a good basic cheesecake recipe. 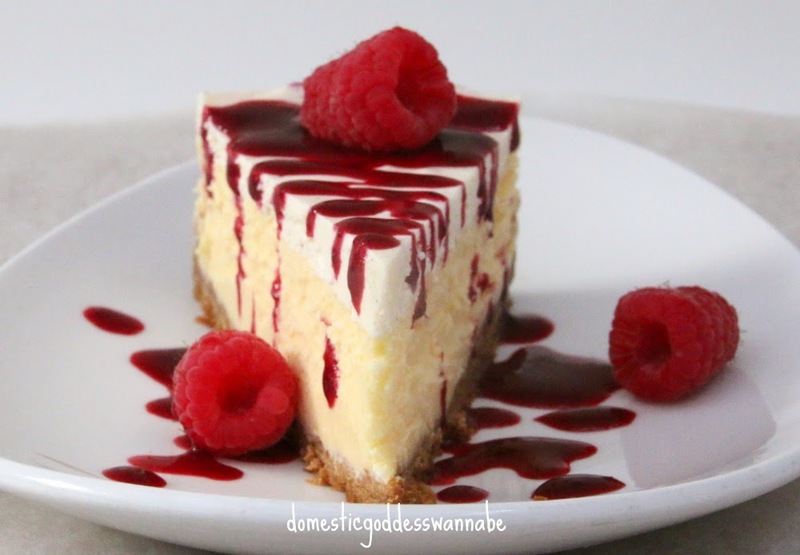 There are many great recipes out there, but I wanted one that would produce a down-to-earth yet rich and smooth cheesecake. And it had to be fool-proof so I could be sure that I would be able to get a good cheesecake every time. The cake also should be versatile so I could add fruit or any other filling if I want. Not a lot to ask for, huh? 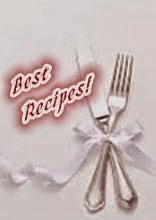 There are a few recipes that I liked, so I combined the "best" parts of these recipes and came up with this particular recipe that I really like. 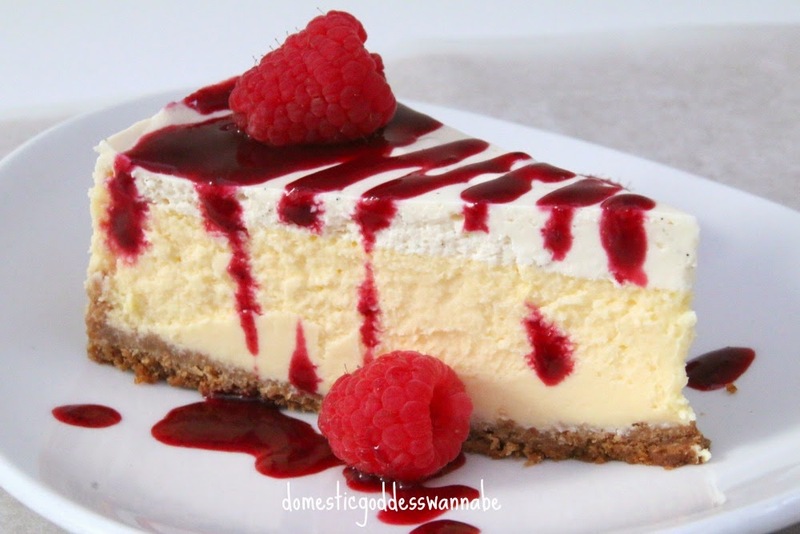 I think I have finally found my prefect cheesecake. Our friends, Arthur and Margaret, came over for dinner the other night with their son, Sebastian, and Arthur is a huge cheesecake fan. I mean, I don't think I have seen anyone eat more cheesecake in a single sitting. But hey, when he requested for cheesecake for dessert, I was more than happy to make it for him because I love the cake too! 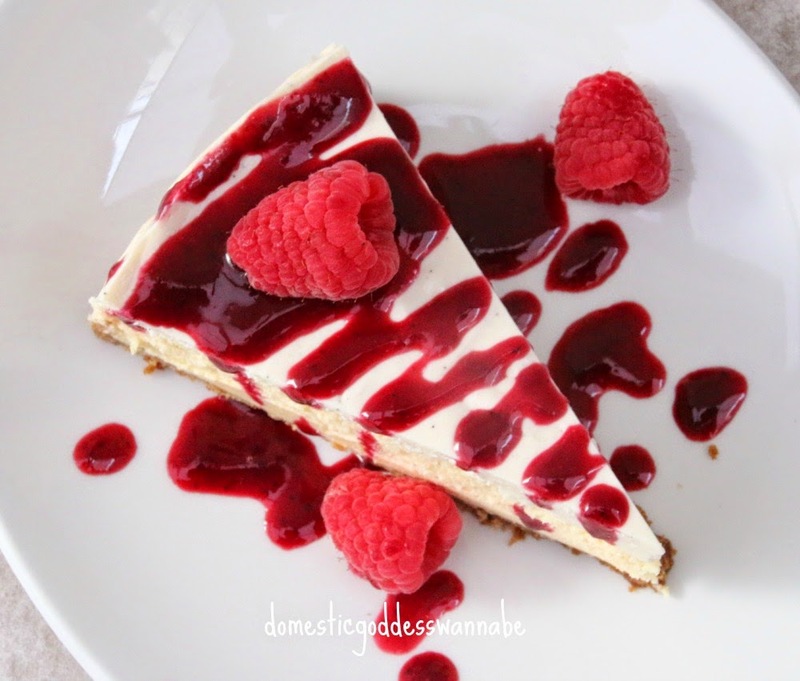 Apart from the fact that cheesecakes are really easy to make (and that they taste so darn good), they have to be made a day in advance, which means that you have more time to cook whatever else that is in the menu on the day of the dinner party! 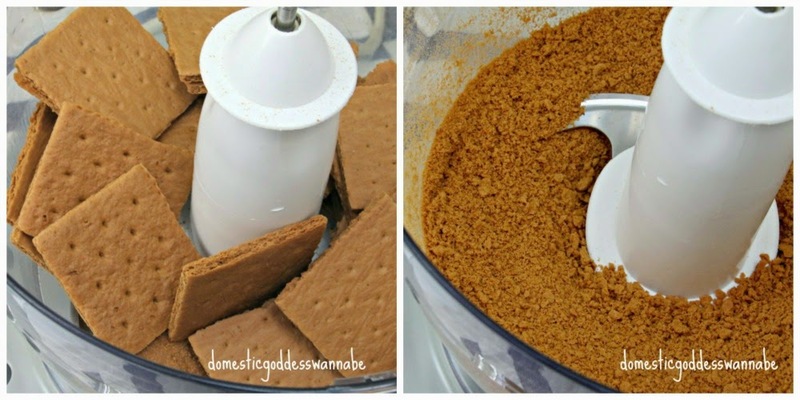 To make the cheesecake, I started by blitzing the graham crackers in a food processor. I always use my food processor to make cheesecakes. If you don't have a one, you can place the crackers in a tea towel and bash them with a rolling pin and make the filling in a cake mixer. I added the butter and vanilla extract and blitzed again until I had what resembled coarse breadcrumbs. I poured this on to a greased and lined Springform pan. And pressed the crumbs down firmly with a cup. 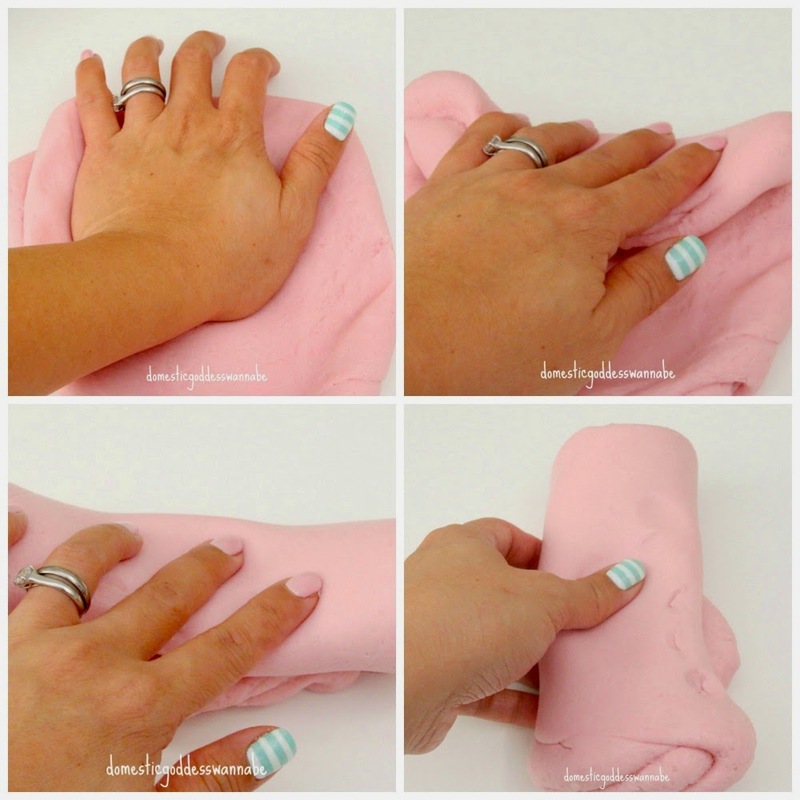 You can use anything that is handy and has a flat base. This was placed in the fridge to set. In the meantime, I made the filling by blitzing the cream cheese for 3-4 minutes until it was soft and fluffy. Into this, I added sugar, and blitzed some more. While that happened, I zested a lemon and juiced it. 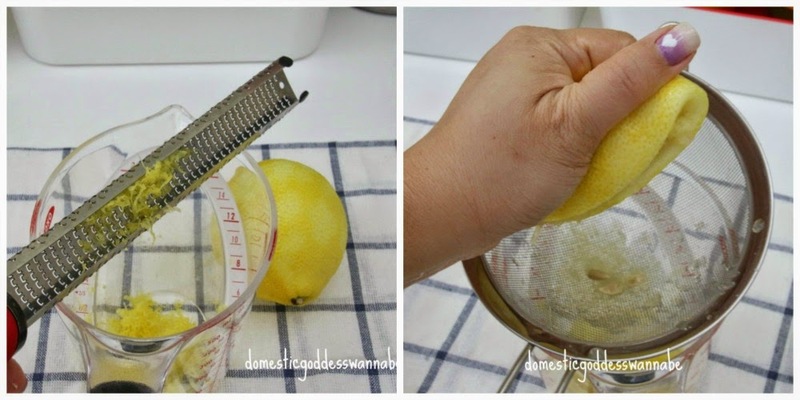 I used the juice of the entire lemon because I like my cheesecake slightly tart. If you prefer it to be less sour, then reduce the amount of juice added. The eggs were added (one at a time) to the cream cheese mixture, and mixed. This was followed by the lemon zest and juice. Once everything was well-combined, the filling was ready. This was poured into the Springform pan. I wrapped the bottom of the pan with heavy duty aluminium foil, then placed it into a roasting pan. I poured hot water into the roasting pan, then baked the cake. When the cake was baked, I propped the oven door open with a wooden spoon and left the cake in the oven for about 30 minutes. Baking the cheesecake in a ban marie (ie, water bath) ensures an even temperature while baking. I believe that this prevents cracks from forming on the cake. Leaving the cake in the oven for a while after it has finished baking means that the cake is not subjected to a sudden change in temperature and I have noticed that this means that the cake tends not to shrink so much. To make the topping, I whisked together sour cream, vanilla bean paste (or the seeds of a vanilla pod) and sugar. I carefully poured this on the cake, and spread it evenly with a spatula. When baked, the cake was cooled and placed into the fridge to chill over night. I served the cake with raspberry coulis and fresh raspberries. But you can add any toppings or fruit that you like. It really is the perfect cheesecake. 1. Preheat oven to 160°C (325°F). Line and grease a 9-inch Springform pan. 2. Blitz or crush the graham crackers. Add melted butter and vanilla extract, blitz or stir to combine. 3. Pour the crumbs into the pan. Use a cup to press crumbs tightly onto the base and sides of the pan. Chill in fridge. 4. 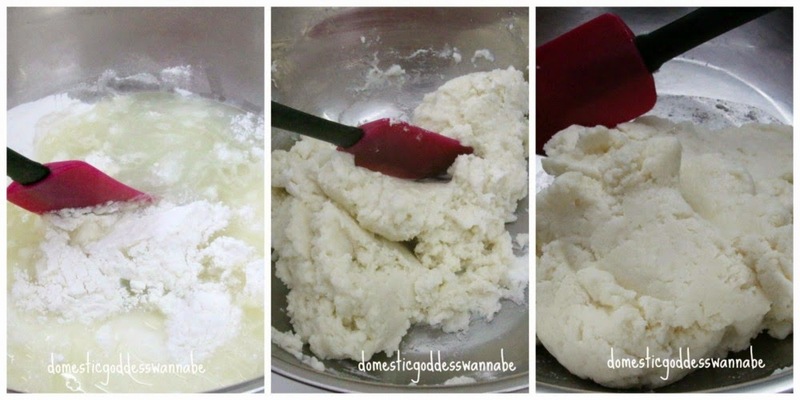 Soften cream cheese by blitzing in the food processor for about 3 minutes. 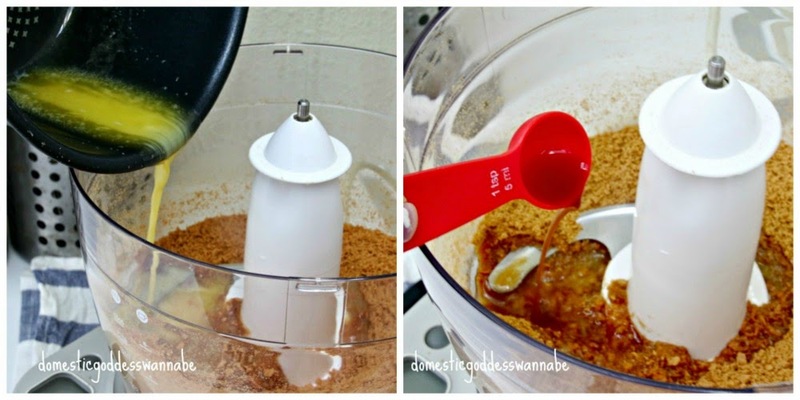 Alternatively, you can beat using the paddle attachment of the cake mixer. 5. Add sugar and salt and mix. 6. Add eggs, one at a time and blitz to combine. Add lemon zest and juice. Make sure the mixture is well-combined. 7. Pour mixture into pan. Wrap the pan in heavy duty aluminium foil (use 2 layers of foil if it is not heavy duty) and place the Springform pan in a roasting pan. 8. Pour hot water (enough to come up to half way up the pan) and bake in oven for 45 minutes. After this time, turn off the oven, prop the oven door open with a wooden spoon and leave the cake in the oven for 30 minutes. 9. Make the topping by whisking together sour cream, vanilla bean paste and sugar. 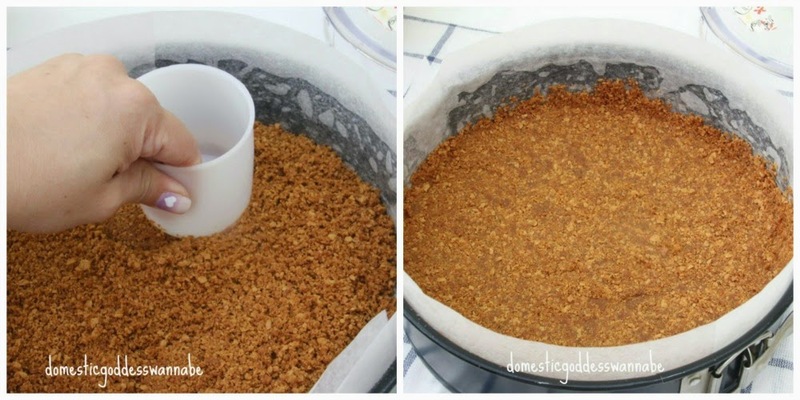 Remove foil, pour over the cake and use a spatula to smooth the top. 10. Bake at 160°C (325°F) for 10 minutes. 11. Cool the cake completely on a wire rack then place in fridge to chill over night. 12. Make the raspberry coulis by combining raspberries and sugar in a saucepan. Cook until raspberries are broken down, about 10 minutes. Remove from heat and strain to remove the seeds. Chill before using. 13. Serve the cake as it is, or with whipped cream and/or fruit. If you like, you can also drizzle chocolate sauce over the cake.